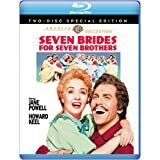 Sold by West Coast Film Buffs and ships from Amazon Fulfillment. Roaring '20s songstress Ruth Etting had everything—the looks, the wiles, the smokey jazz voice, the it. Doris Day's Etting was a career-best dramatic performance, bringing acclaim from critics and a departure from her traditionally sunny roles. Brilliant performances by Day and James Cagney highlight this Academy Award winning story of jazz singing sensation Ruth Etting and the vicious Chicago hood who controlled her life. Year: 1955. Director: Charles Vidor. Starring: Doris Day, James Cagney, Cameron Mitchell, Robert Keith, Tom Tully. 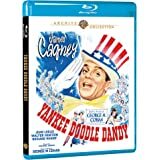 Doris Day offers a powerful dramatic performance with her usual finesse in song, and James Cagney gives us a variation on all those goons he played in Warner's gangland pics of the thirties in this edifying, exemplary movie musical that is as potent as a melodrama as it is as a classic Hollywood homegrown musical. Based on the life of torch chanteuse Ruth Etting, MGM throws all its backing into a quality affair and comes up a trail-blazing winner. Lots to love here. Ditto for Warner Archive's newly remastered Blu-ray, looking years younger than it ought. Colors pop, grain looks natural, contrast is bang on and the DTS stereo is a wowzer to boot. 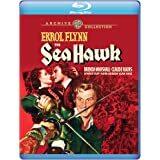 Buy with confidence and prepare to settle in with one of the best 50s movie musicals in a transfer you will want to bask in and watch over and over again! 5.0 out of 5 starsDay and Cagney shine in superb 1954 Etting biopic. Gorgeous blu-ray release of Doris Day's finest performance! "Love Me or Leave Me" is Hollywood "bio-pic" at its best. Superb musical numbers as Doris Day effectively takes on the repertoire of 20's jazz singer Ruth Etting. Jimmy Cagney tops the cast with an Oscar-nominated performance as Etting's "mentor" Martin Snyder. This one is a real winner! Picture quality is stunning and the 62-year old sound is quite good. I was not a big fan of Doris Day. I've always appreciated her singing but her sunny-sweet disposition never appealed to me much. As I'm sure it it so with many actresses, if those character-types are all that they're allowed to do, that's all we'll get to see. Fortunately, in Love Me or Leave Me, Doris got the role of a lifetime playing Ruth Etting, in a fictional account of the singers' rise to stardom. Her performance was not only well-acted and beautifully sung, it was enjoyable to see Day's strength as well as her suffering. Day is matched with the incomparable James Cagney as her mentally and physically abusive gangster-husband Marty Snyder. Cagney has such a strong personality and usually dominates any role he plays. He's played gangsters so many times, I half expected his performance to be great with minimal effort. However, Cagney not only respects his fellow actors, but also the actors' process and chose to play Snyder's complexities with incredible delicacy. Snyder is not only vicious and controlling, but he's also desperate, lonely and devoted to Etting. He wants to be needed by her but also wants to pull all the strings. It is this monstrous fragility that makes Etting repulsed and fearful of him, indebted to him, but also unwilling to hurt him even in the final act. I wish Day and Cagney had done more films together (other than West Point Story). Day especially deserved more opportunities to show her worth. 5.0 out of 5 starsBiopic of singer Ruth Etting. A wonderful biopic of singer Ruth Etting in which Doris Day plays against type. Miss Etting's singing career is both supported and hampered by her association with the racketeer Martin 'The Gimp' Snyder (played by James Cagney) who is trying to control her and believes she loves him. She is trying to break free and finds love with another person which annoys The Gimp leading to the films denouement. A umber of her most famous songs feature in the film. Doris Day's performance as torch singer Ruth Etting is first class, ably assisted by such hugely talented people as "mean man" James Cagney - who for the only time in his career since his rise as a leading man in the 30's, agreed for Miss Day to have top billing, reasoning that her charcter was more central to the film than his, the psycho Marty "the Gimp" Snyder. Joe Pasternak was Producer, and King Vidor directed. 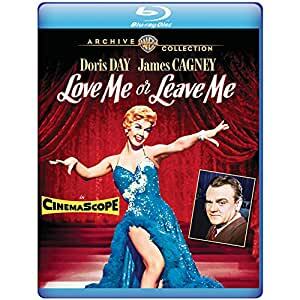 Add to this the music of Sammy Cahn & the master Irving Berlin, beautiful songs which Miss Day really puts her heart and soul into, and you have the recipe for the great success of Love Me Or Leave Me in 1955 through to today. The songs all stand up today (as you would expect) Ten Cents A Dance, Shakin' the Blues Away, I'll Never Stop Loving You,It All Depends On You,You Made Me Love You etc. and a well written dramatic role she could really get her teeth into. Roles as good as this don't come along too often, I know, but what a great pity she went down the path of poorly written, silly comedies,(like that other iconic,musical great, Elvis Presley)coming up for air rarely with an occasional good film. Cagney requested her for this film - they had worked together once before in 1950's West Point Story - and he loved working with her. As a footnote, both Miss Etting and Mr Snyder were given script approval before Love Me Or Leave Me went into production, and despite the rather unflattering picture painted of them in the film, neither objected - a sure sign of authenticity. It's interesting to note Ruth Etting did remark however that she was never a dance hall girl, but clearly that section was added to accomodate the song Ten Cents A Dance.